“If you’re not busy being born you’re busy buying”. All the sales girls in the flash boutiques are made to dress the same and have the same make-up, representing the 1940’s. In fashion as in everything else, capitalism can only go backwards — they’ve nowhere to go — they’re dead. Sit in the drugstore, look distant, empty, bored, drinking some tasteless coffee? Or perhaps BLOW IT UP OR BURN IT DOWN. The only thing you can do with modern slave-houses — called boutiques — IS WRECK THEM. You can’t reform profit capitalism and inhumanity. Just kick it till it breaks. 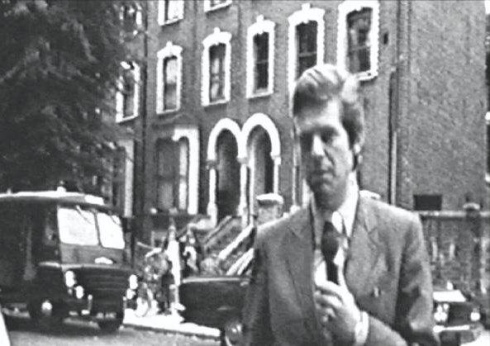 On August 21st 1971 Special Branch and CID raided a flat at 359 Amhurst Road, Hackney N16 as part of their investigations into the Angry Brigade. Jim Greenfield, Anna Mendelson, John Barker and Hilary Creek were arrested. Later that day Stuart Christie and Chris Bott were also arrested at the same address. Angela Weir and Kate McLean were picked up subsequently. The arrestees became known as “The Stoke Newington 8”. The trial commenced on May 30th 1972 at The Old Bailey and was to be one of the longest in British legal history. On December 6th 1972 Barker, Greenfield, Creek and Mendleson all received 10-year sentences, reduced from 15 after pleas of clemency from the jury, for “conspiring to cause explosions likely to endanger life or cause serious injury to property”. Stuart Christie, Chris Bott, Angela Weir and Kate McLean were acquitted. The best collection of online texts on The Angry Brigade I have found is at Libcom. 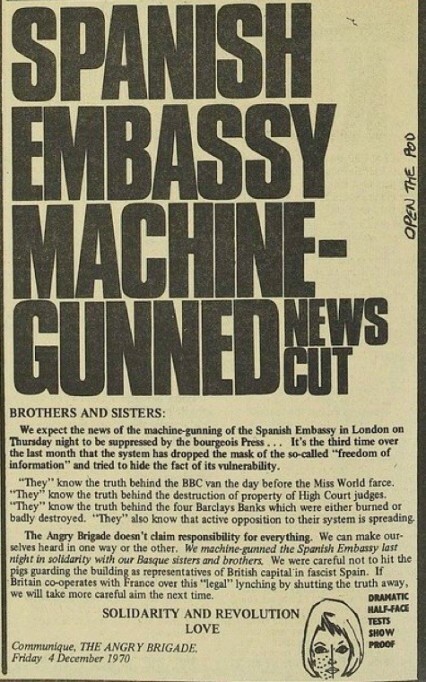 Documentary which sites the Angry Brigade as emerging from influences/movements including Spanish anarchists, US hippies, communes/squatting, claimants unions, Paris 68/the Situationists and the Grosvenor Square protest against the Vietnam war. The first 50 minutes of the film as shown above on Youtube is on The Angry Brigade, the last 20 minutes concerns the “Persons Unknown” trial in the late 70s. One of the Persons Unknown defendants was Ronan Bennett who went on to write the gritty Hackney-based TV drama Top Boy, which was broadcast last year. Includes the often poetic and well written Angry Brigade communiques. 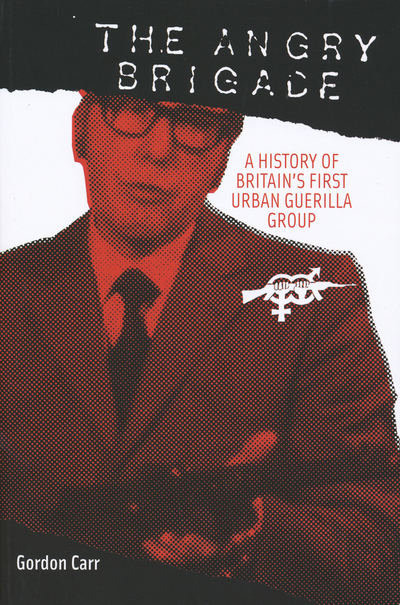 Includes prefaces by Stoke Newington 8 defendants John Barker and Stuart Christie. The best book to read on the subject. 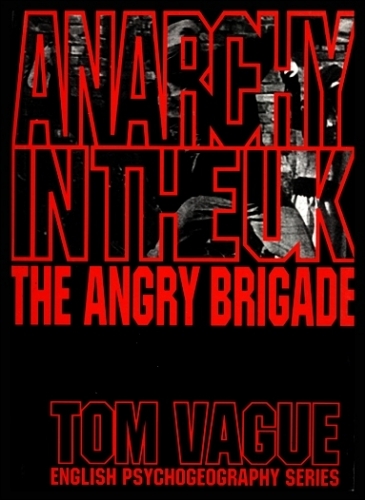 John Barker has written an excellent review of Tom Vague’s book which details his current thinking on the Angry Brigade and its legacy. The review is one of the best things written on the subject. Recent interviews with John Barker and Stuart Christie at 3AM Magazine. 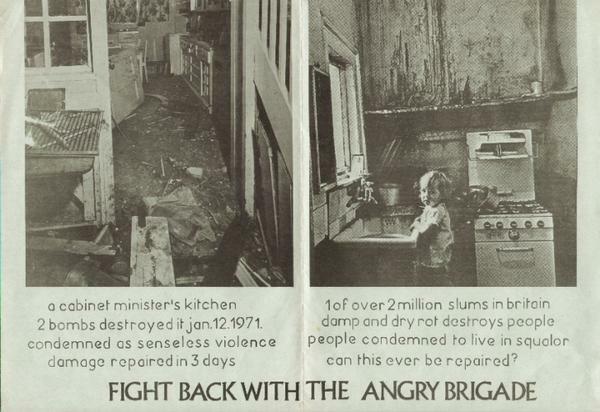 This entry was posted in 1970s, Angry Brigade, Stoke Newington by ackneyinnit. Bookmark the permalink. 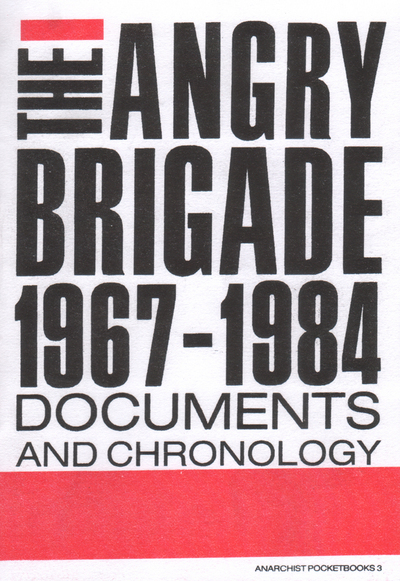 Great to see the Angry Brigade being written about, I’ve done a fair bit of research into their past too, and the Carr book is great eh! Barker’s review of the Vague book is a powerful last word too, and a wander down a sleepy Amherst road also fills in some of the gaps. For further further reading too I’d recommend John Barker’s ‘Bending the bars’, Stuart Christie’s ‘The Christie File part 3’; Jonathon Green’s ‘Days in the life’ is pretty good surprisingly, Steve Chibnall’s ‘Law and order news’ too is really good on the background situation, you can read online via Google books. Glad you liked it! Thanks for the tips – I’ve got Christie’s autobiography to read sometime and keep meaning to get Barker’s “Bending The Bars” too. Not heard of the Chibnall, will have a gander at that also. Nice! Looking forward to it. Yeah I remember picking up the John Barker thing as a pamphlet, pretty harsh maybe? What did you reckon of Hackney, Rose Red Empire? I thought it was definitely rambling, maybe needed a strict editor…. but I think he does well to document an interesting area that’s rarely taken seriously, and what he’s caught of east London in his writings has captured how it was, rather than accelerated the hot dry winds of gentrification which Barker seems to be implying. I like Sinclair’s writing but it is undeniable that he has a slightly odd way of portraying working class people, which I think is partly what Barker was saying. I was frustrated with “Rose Red Empire” because it mentioned a lot of things vaguely or in passing which I thought were merited attention, but then covered his friends and acquaintances in huge detail. I think there is an argument that the literary portrayal of Hackney and its heritage plays well for a particular type of incomer who is buying property here, but it’s more complicated than that. Were the Angry Brigade fitted up by the police? It all looked dodgy at the time.